This month the Inspector bursts a few myths about blistering. It won’t come as a great surprise that there are many reasons why a waterproofing membrane may blister. However, what is surprising is that most contractors and building owners automatically assume it to be a product failure or an inherent defect in the product itself. Sadly that is rarely the case; blisters are most commonly a consequence of poor or incorrect application, and in the majority of instances, of insufficient preparation by the installing contractor. Let’s have a look at why blistering occurs and what steps can be taken to prevent it from happening in the first place. A few simple do’s and don’ts are all it takes to significantly reduce this often-misunderstood ‘phenomenon’ in the industry. Most blisters are the result of the presence of moisture and / or excessive heat at the point of membrane application. If the moisture gets trapped underneath the membrane, it is highly likely that this will be the birthplace of your blister(s). If the surface retains any moisture, the bitumen or adhesive used to bond the membrane, will not make contact with the underlying substrate, leaving a tiny pocket of surface area that could encourage blistering. Throughout the seasonal changes and prolonged exposure to UV, this pocket of moisture will expand and contract until it reaches a size many would find unsightly, and may well spoil an otherwise fantastic looking roof with a number of blemishes and imperfections. If this occurs in a number of locations, the client may be left with a roof which resembles a rocky road instead or even a patchwork quilt following the likely repair needed. Another well-documented reason for blistering is down to the specification of multiple fully-bonded layers. These layers restrict the movement of trapped moisture and if a number of them are applied on top of each other, blisters are likely to form between each and every fully-bonded layer, particularly if moisture or gas is trapped between them. The solution is to install a partially-bonded layer, such as our Total Torch Vapour Dispersion Layer, which prevents this from happening as it allows trapped moisture to navigate freely between the membrane stripes, preventing moisture build-up in isolated locations. 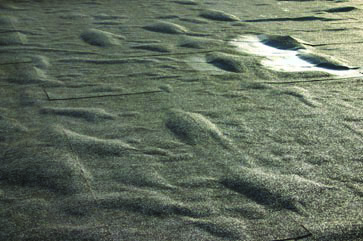 Blisters on a flat roof installation. Whilst most blisters are widely considered aesthetic issues only, those that are in close proximity to membrane side and head laps will be of concern. The pressure from those blisters can breach the lap creating a potential point of entry for water ingress, which could become an immediate headache for the contractor and client. 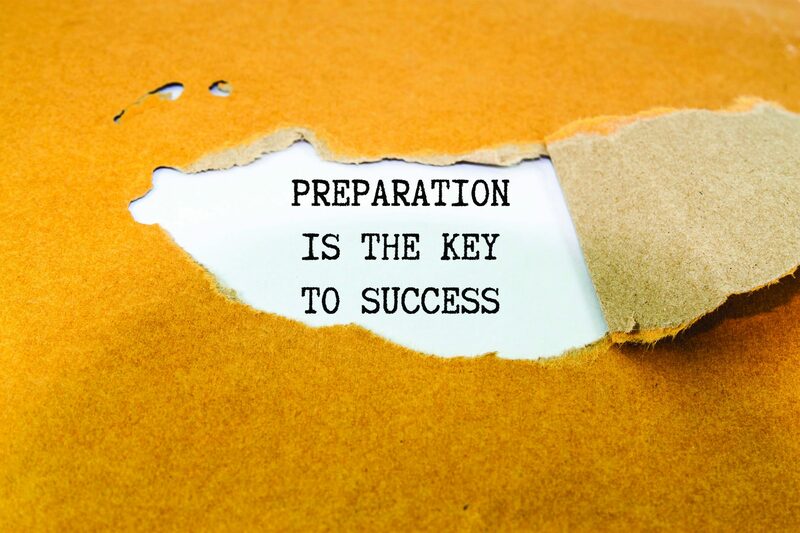 You may recall from May’s article on deck preparation that getting everything prepared is arguably the biggest influence on success. This is also the critical stage if we are to make blisters a ‘thing of the past’ too. To prevent blistering we advise that all decks are fully dried before the membrane is applied, and care is taken when a contractor tries to dry a roof unnaturally with a gas torch. Some moisture will not be visible to the naked eye so extreme care should be taken as the responsibility of providing a suitable substrate lies solely with the installing contractor. Best practice also dictates that the substrate receiving the membrane is primed with the appropriate primer. As mentioned in May’s article, primers are developed by manufacturers to provide the strongest bond possible for their products and to prepare new and existing surfaces for the membrane. These primers will therefore give you the best opportunity for success and help reduce latent defects (such as blisters) from occurring in the future.